How well do you know your Samsung Galaxy S4 Mini? Do you the meaning of each notification light? There are basically three colors you may see when the phone is telling you something; Blue, Red and Green. Each color has a different meaning as well as their rhythms. So, this post basically tackles what those notification lights mean. Please note that the LED will only light up and gives off these notifications if the screen is off. Moreover, you can edit the type of event you want to be notified about by going to Settings > My device > LED Indicator. Pulsating Blue Notification - this happens only when the phone is either turning On or Off. Blinking Blue Notification - you'll see this notification light if you have missed calls, unread messages, and other message-related notifications. The phone will also emit this light and rhythm when voice recording is enabled. Glowing Red Notification - when you connect your phone to your charger and is charging properly, this is the kind of notification you'll get; there's a steady, glowing red light. 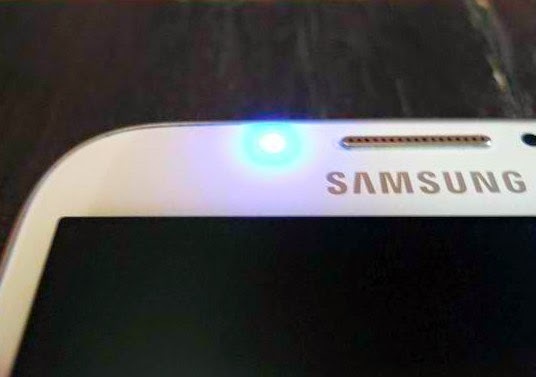 Blinking Red Notification - when your phone is running out of battery, it will notify you about it by emitting a blinking red light. Consequently, you will plug the charger in and connect your phone. If the light still blinks, then it means that the phone isn't charging properly. Glowing Green Notification - you'll only see this notification light when the phone's battery is already full but still connected to the charger. I hope this post could somehow help especially those who are still learning a thing or two about the device.